The first Steve Earle related post on Back Road Bound, but it won’t be the last, as his songs and albums have been my companions for a very long time. Of course Emmylou Harris’ presence and voice are adding considerably to the greatness of this performance. This post is partly meant as a reminder to myself that I have to check out Glenn Jones’ latest album ‘My Garden State’ which was released in May of this year on Thrill Jockey. As of yet I know only very little about him, apparently his work does belong to the school of American Primitivism – of which I don’t really know anything either, but I will someday soon. 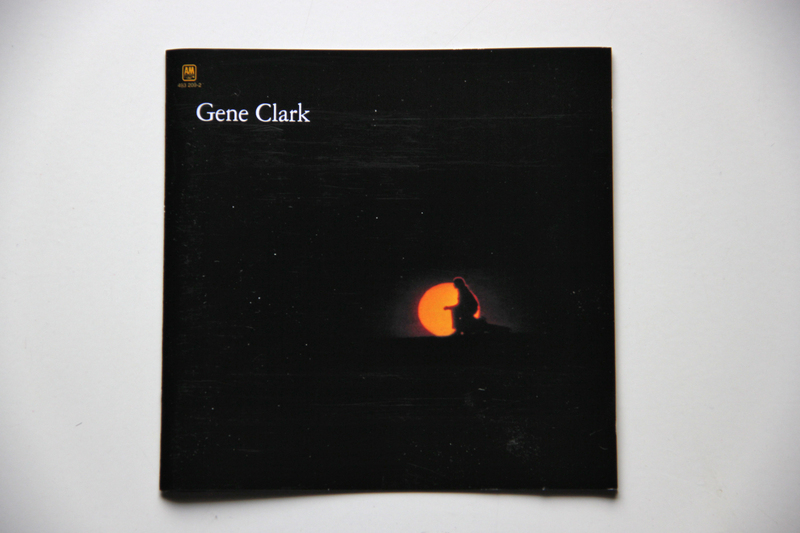 The first Gene Clark album I actually bought was his 1986 collaboration with The Textone’s Carla Olson So Rebellious A Lover. I also own the fine but somewhat messy compilation American Dreamer 1964 – 1974 which features all kinds of material he was involved in from that period such as his solo work, songs with The Byrds, The Gosdin Brothers and The Dillard & Clark Expedition. As I came back to that album quite often in the past few months, I recently bought White Light, regarded by many as his finest work. I bought the expanded version, re-released in 2002 and have to say that everybody involved in that project did a very good job on it. As I am a bit of a closet audiophile I am quite satisfied with how the album sounds – not exactly up to today’s standards, maybe, but considering this was originally recorded back in 1971 the sound is pretty good and clear. Contrary to one of my friends who said to me that Gene Clark’s work is too depressive for him (‘unlike you, I don’t need to hear depressive music ALL the time’ were his words (he’s mistaken by the way, it’s actually not all the time, only most of it)). The songs on White Light are outstanding, with maybe 2 or 3 exceptions, Tears Of Rage and 1975 are in my opinion rather mediocre songs and I much prefer the Byrds version of One In A Hundred to the one on here, I don’t like the background vocals towards the end on this one at all. The album gets off to a flying start, setting the mood of the album perfectly, with The Virgin, Clark’s inherently melancholic voice and a number of acoustic and electric guitars on a bed of plucking away drums, and, crucially for setting the tone of the album, a number of harmonica solos, mixed far into the foreground of the mix, which is much to my taste. The lyrics on this track are evocative of that period of time and the environment in which it was written and recorded quite perfectly – it’s apparently about a girl embracing her new-found freedom in the late 1960’s to her fullest, whether the track has got a e darker underlying theme as well I couldn’t say for sure. But it all sounds very romantic, to my 21st century ears at least. Next track With Tomorrow is more reduced, with some slightly crooked and imperfect acoustic guitar that adds to the solemn mood of the composition. White Light is offering quite a different direction – a loose, more up-tempo Country-Rock tune, with the harmonica used to fine effect again, quite probably influenced by his work with The Dillard & Clark Expedition (which I still have to check out thoroughly, I only know the few songs from that period included on American Dreamer). One of my faves on here. Because Of You is on here twice, I actually like the ‘alternate mix’ with its less polished lead vocals a little bit better. Probably the best song in my opinion on White Light (battling it out with the title track) is For A Spanish Guitar, a gentle, melancholic and even slightly baroque ballad with a oh so lovely tune, in scope and lyrically it’s possibly the most refined composition on here. Where My Love Lies Asleep is another fine ballad. The 5 bonus tracks on the expanded edition are of varying quality. Stand By Me, yes that one, is better than the version we all have heard thousands of times before, I always had a dislike for the voice of what’s-his-name, so this sounds a bit better to me, but I still have got problems listening to it. The next song Ship Of The Lord is very good though, I was very surprised to see that it is a Gene Clark song because the lyrics are so overtly religious. Musically it’s rather unfinished, with dry Rock’n’Roll guitar licks and a catchy tune – maybe that’s exactly the reason why I like it so much. Opening Day isn’t exceptionally good, but it’s not bad at all either. The last song Winter In is just that, the lyrics full of nature references, quite probably infused by the northern Californian landscape he escaped to after leaving The Byrds, and the allusion to winter is always welcome in my house. As I said before, all people involved in the reissue of this gem of a Folk/Country-Rock album have done a splendid job, but most credit of course does belong to Gene Clark, who a lot of people consider to be the best of the Byrds songwriters (although I still vote for Bob Dylan even if he wasn’t in them), and his conspirators who recorded the original album. I haven’t really been following Mr. Lovett’s career that thoroughly and have bought only two of his albums – this track is from ‘Joshua Judges Ruth’.I’m not normally really into Gospel music all that much – but this is just too infectious not to like it, especially in combination with his voice. Also, it’s a great story being told.